What is spam? 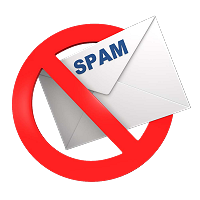 - A spam email is an unsolicited email which advertises or promotes a commercial product or service. These are usually sent in bulk repeatedly to multiple recipients without their permission. Our website is now compliant to the latest CAN-SPAM Act 2008 with regards to all our outgoing emails. 1) We do not use false or misleading header information. 2) We do not use deceptive subject lines. 3) If we ever send you an advertisement, we will identify the message as an advertisement. 4) We tell recipients our postal address so that they know where we are located. 5) We tell recipients how to opt out of receiving future email from us. 6) We honor opt-out requests promptly. 7) We monitor what others (our affiliates) are doing on our behalf. Our policy has always remained not to send even a single spam email to any of our contacts. Instead we have ensured that our readers receive the latest updates from our website through Facebook. Click --Like-- on our Facebook Page to receive occasional announcements on your timeline.